Johnson Igwedibia is not a push over by any standard, as at some point in the area, the fear of Don Waney was the beginning of wisdom. Even the Oba of Ogba land, H.R.M. Eze Nnam Obi gave him his way and never crossed his path. 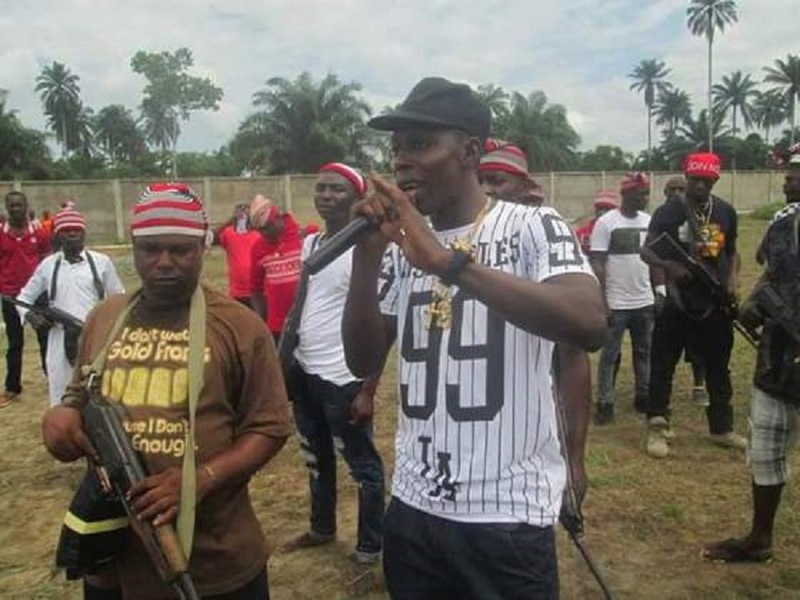 Reports say that some security agents were afraid of him, as he was deadly and believed to be invincible. The routes to his mansion in Omoku were manned by soldiers, said to have been detailed to arrest him, dead or alive, yet, he operated without encumbrances. Did security give way for conspiracy? But, did the amnesty deter him? Years after accepting same, he returned to his trade in full capacity. In 2016, Rivers State Governor, Nyesom Wike introduced another round of amnesty programme, which he also accepted; but to what extent did that influence him? Don Waney was a billionaire by all standards and the peanuts provided for the amnesty programme may have even infuriated him; yet he accepted it, but continued with his ‘business’. On December 20, 2016, Don Waney was conferred with a chieftaincy title of Onyirimba 1 of Ogbaland by the paramount Ruler of Aligwu in ONELGA LGA, King C. Nwokocha. Two of his foot soldiers, Ikechukwu Adiela and Augustine Osisiah were also installed chiefs. Hundreds of young people benefited from his criminal activities and still owe allegiance to him, even in death. These individuals live among unsuspecting citizens. Now that Don Waney is no more, a few things are likely to happen. First, within his camp, there may be conflict over who pilots the affairs of the gang, particularly, now that he was killed alongside his 2iC, while the number-three man broke away earlier, over alleged poor compensation from a bootie from some government quarters. The internal crisis may lead to the breaking away of a faction, thereby weakening the Don Waney camp further. Another possible development will be that some other camps that were calm over the years as a mark of respect for the king of the jungle-Don Waney will want to rise to fight for superiority. This rivalry may mark the first phase of violence to be witnessed in the area, after the internal conflict in Don-Waney’s camp. Then, other camps and groups may spring up. Those thinking that the sad end of Don-Waney may serve as a bitter lesson and outright deterrent to others involved or intend to be involved may have a rethink. In fact, it will amount to wishful thinking. Even if Don Waney was caught alive and made to die slowly; even through an open torture, it will not change anything. After all, armed robbery attracts death penalty in our law books, but has that stopped the menace? Dr Walter Duru is a Communication and Public Relations expert/strategist. He is Executive Director of Media Initiative against Injustice, Violence and Corruption-MIIVOC and chairs the Board of Freedom of Information Coalition, Nigeria-FOICN. Duru can be reached on: walterchike@gmail.com.